Are you running out of kids birthday party ideas? Want a stress free kids Party? Then leave it to us! The Gamezbus brings the most exhilarating gaming party right to your door!! Just imagine! No need to hire a hall an have the additional expense of an entertainer and best of all... no clearing up after! 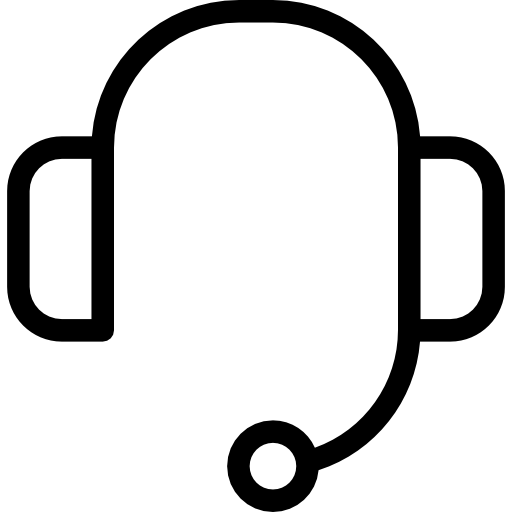 We have fully trained, DBS/CRB checked, gaming technicians who are ready to take control of your kids party, so all you have to do is sit back and relax. All we need from you is access to a single household plug socket and we are ready. The kids will have a wide choice of games New & Old, all carefully selected with the multiplayer function in mind. 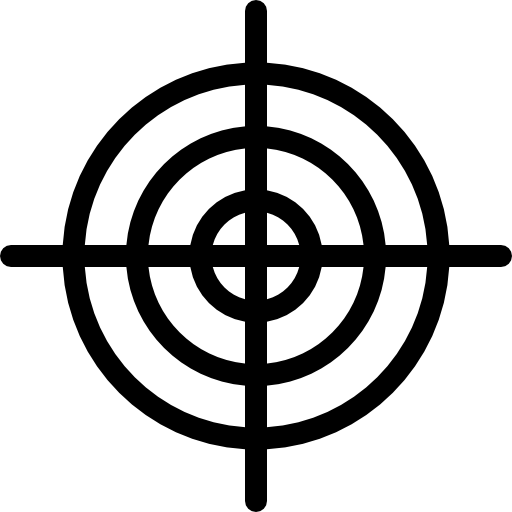 We have room for 20 players, and can tailor our parties to suit your needs. Our gaming parties start from 90 minutes up to 150 minutes. We will make sure that your child and their friends are thoroughly entertained and looked after, giving them an ultimate gaming experience! All you have to do, is let us know the date and preferred time, and the Gamezbus will take care of the rest! At Gamezbus we have created The Ultimate Girls Gaming Party. If you are stuck for something new and different to do for your daughter’s next birthday party, then look no further. This will be a party your daughter and her friends will never forget! 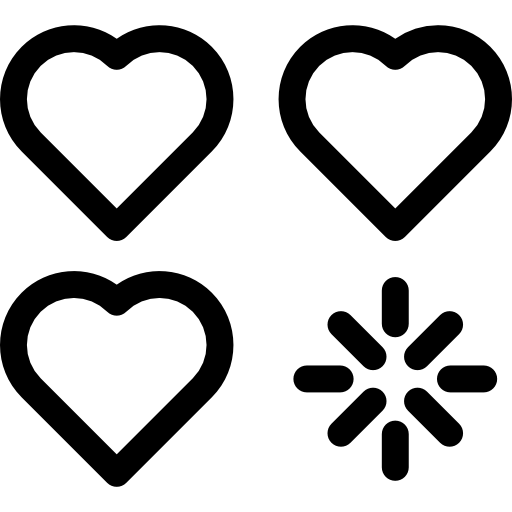 We offer a huge list of girl themed games and group activities to choose from that are PEGI rated and age appropriate. Take all the stress out of party planning and we will bring the party to you! A girl’s birthday party by the Gamezbus is a fun-filled event for up to 20 girls held in our unique Gamezbus. 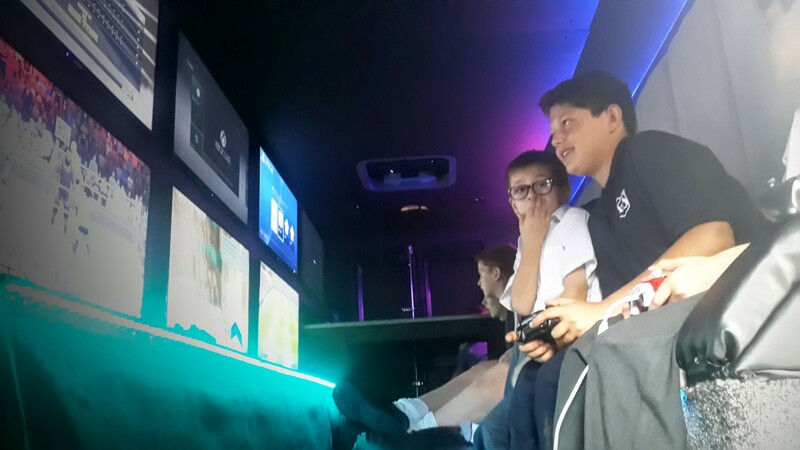 Everyone knows girls love playing video games just as much as the boys and our video Gamezbus is a unique social environment where kids can play the games they love together, comfortably, relaxed, and safely with their friends. At Gamezbus we have created The Ultimate Boys Gaming Party. If you are stuck for something new and different to do for your son’s next birthday party, then look no further. This will be a party your son and his friends will never forget! We offer a huge list of boy themed games and group activities to choose from that are PEGI rated and age appropriate. 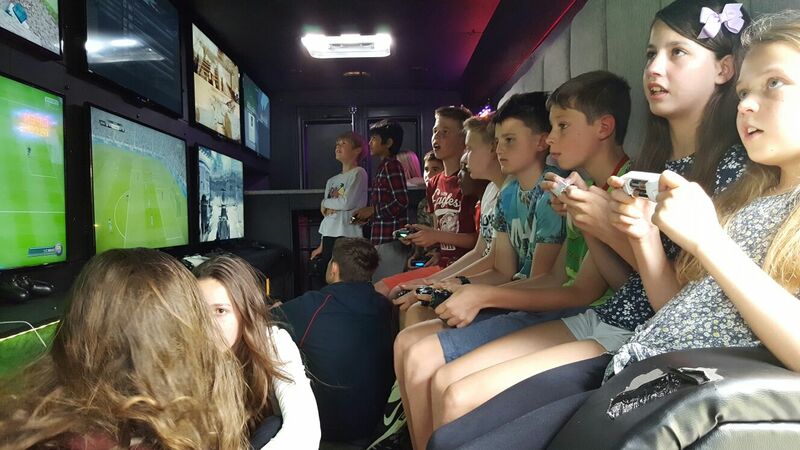 A boy’s birthday party by the Gamezbus is a fun-filled event for up to 20 boys held in our unique Gamezbus. 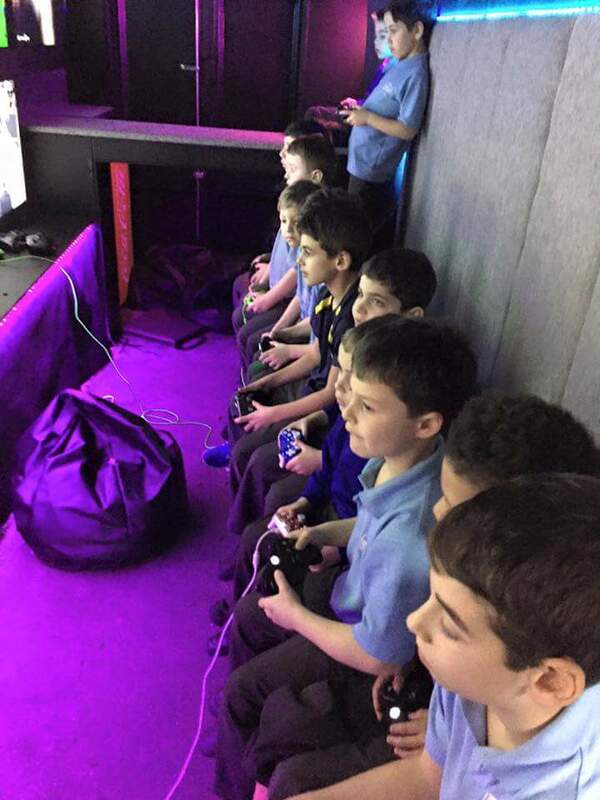 Everyone knows boys love playing video games and our video Gamezbus is a unique social environment where kids can play the games they love together, comfortably, relaxed, and safely with their friends.